After graduation from KU with BS and MS degrees in education, Janice Craft moved east. She taught public speaking in New Jersey at DeVry University and Brookdale and Raritan Community Colleges while at the same time studying acting in New York City at the Wynn Handman Studio and Sally Johnson Studio. Craft appeared in over a dozen national television commercials including Meridia, Disney, Comcast, Volkswagen, Remax, Vantage America, Time Life 70s Music, Sokolov Law, and Lipoflavanoid. She also worked in independent film, industrial film and off-Broadway originating several roles at American Theatre for Actors including Mrs. Hawthorne in Ancestral Voices, Sue in Black-eyed Peas, and Rosetta in You Shouldn’t Have Told directed by O.L. Duke. As a consultant to businesses and education, Craft has traveled extensively for presentations across the U.S., Mexico, and Ireland, advising managers on hiring practices that include personality profiling and improving communication skills. Craft has also consulted at the University of Wisconsin and the University of Minnesota. 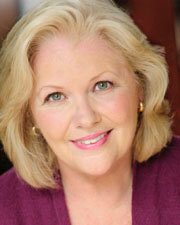 She holds a certificate of completion from the British American Drama Academy and an Ed.D. from Argosy University.